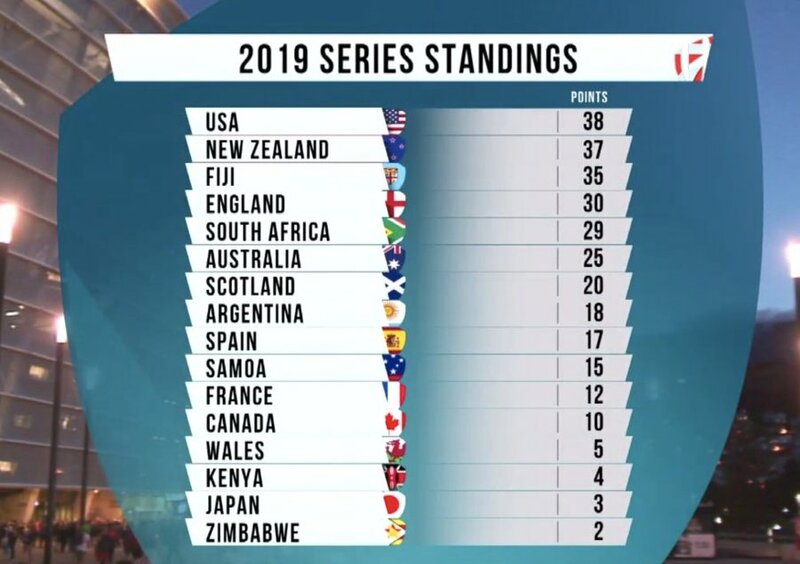 Kenya 7s climbed one place at the HSBC World Sevens Series from 15th to 14th after Cape Town 7s where they won the Shield. Shujaa now has four points after picking three in Cape Town to add to one picked in Dubai last weekend. They swap places with Japan who now sit bottom- the relegation position. USA went top with 38 points despite losing Cape Town 7s cup final to Fiji. Kenya's next outing will be Hamilton 7s in January in New Zealand where they have been with South Africa, Scotland and France. They faced Scotland in Dubai and France both in Dubai and Cape Town.